“Despite having very little money, almost no building experience, and endless naysayers who told her she would fail, Atulya K. Bingham completed her lovely earthbag home. 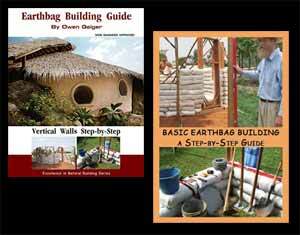 Her personal, inspirational story shows how anyone can build their own sustainable home with earthbags.” Dr. Owen Geiger, Director of the Geiger Research Institute of Sustainable Building, co-author of the Natural Building Blog and Earthbag Building website. “A joy from beginning to end – a brave, funny, moving account of building a new life and a new home out of mud in Turkey’s mountain wilderness.” Sara Crowe, author of Bone Jack (Nominated for the Carnegie Medal in 2015). About the author: Atulya K Bingham started out as a modern languages teacher in London. At 26, she moved to the south coast of Turkey where she has lived and worked ever since. She began writing her first novel “Ayşe’s Trail” after a failed attempt to run a yoga camp on the Lycian Way. The novel won The One Big Book Launch within two weeks of its release. In 2011, Atulya moved into a tent onto a piece of land in the Turkish hills. She lived alone for eight months without running water or power. By 2013 she had built an earthbag house and continues to live semi off-grid, growing her own food, building and writing. She’s currently working on Mud Ball, the true story of how she went from teacher to natural builder in six months. 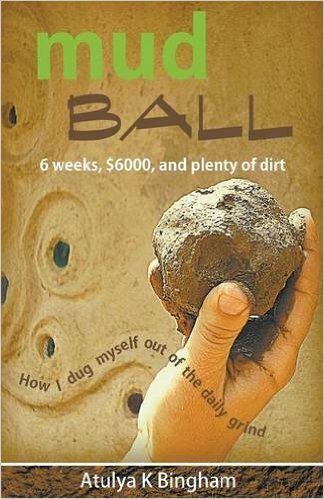 This link (http://www.themudhome.com/mud-ball.html) goes to the page on her site with all other links for print and ebook, plus free first chapter. This is a wonderful, heart tugging story that’s very well written. She is a REAL writer (her first book won a book award). Unlike other earthbag books that focus on the ‘nuts and bolts’ how-to building directions, this is a personal story of what she went through to build her earthbag home. Imagine being surrounded by negative people trying to discourage you every step of the way. And now a few years later her house has survived multiple earthquakes in Turkey. This probably shut her neighbors up. Highly recommended. It was hard to put down once I got into it. At it’s core is her journey to find true freedom. Think about the millions of people stuck in unsatisfying jobs and paying rent. This book shows how you can break out of the system and obtain true freedom. So it’s way more than just a book about how to build a house. So I wonder if the author will ever offer earthbag workshops?? ?